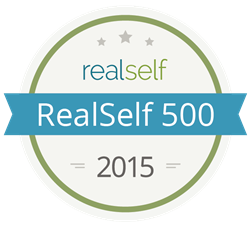 Local physician Dr. George Bitar is one of 500 doctors in the nation to receive the prestigious RealSelf 500 Award, out of nearly 13,000 board certified specialists with a presence on RealSelf—the leading online community helping people make confident choices in elective cosmetic procedures. Dr. Bitar is Founder and Medical Director of the Bitar Cosmetic Surgery Institute with offices in Fairfax and Manassas Virginia. He is board certified by the American Society for Aesthetic Plastic Surgery and performs a wide range of cosmetic procedures including rhinoplasty, breast augmentation, mommy makeovers, facelifts, liposuction and post weight loss body contouring. He has been a plastic surgery practitioner for over 14 years. Dr. Bitar is an expert contributor to RealSelf, and to date has posted 1,000 answers to questions on RealSelf. Each month people from all over world ask important aesthetic-related questions. Dr. Bitar also maintains a patient star rating of 4.5 out of five stars in RealSelf reviews. For more information on the Bitar Cosmetic Surgery Institute please visit http://www.bitarinstitute.com. The Bitar Institute was established in 2002 by Dr. George Bitar, an award- winning board certified plastic surgeon. The Bitar Institute is a multi-location institute with a highly trained staff that is fluent in Spanish, French, Arabic and English, offering safe and effective treatments ranging from skin care to cosmetic surgery. The Institute’s philosophy is image, beauty, and transformation to promote self-confidence and a healthy lifestyle via modern med spa services, skin care, and cosmetic surgery.